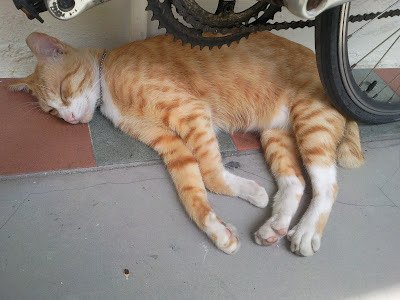 This friendly cat Hong Hong knows how to use the lift to go up to higher levels of hdb flat. 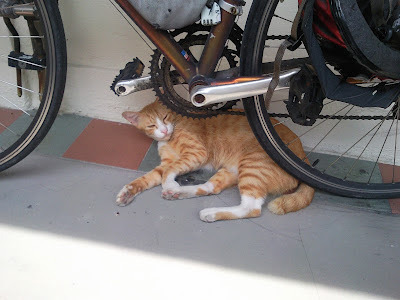 He likes to sleep under a bicycle parked outside the corridor. 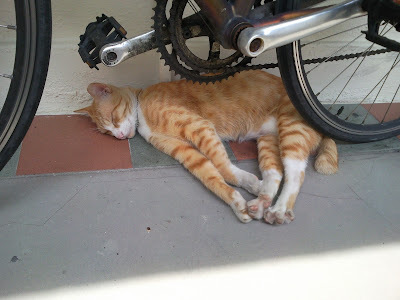 Strange behavior but nonetheless nice to watch his sleeping habits.